Here's our current range of Scale Model Technical Services 1/43rd scale models. These are high quality, British made, hand-built, white metal, models. All models shown with a PayPal 'Add to Cart' button are in stock now. FREE postage & packing on all orders in the UK. 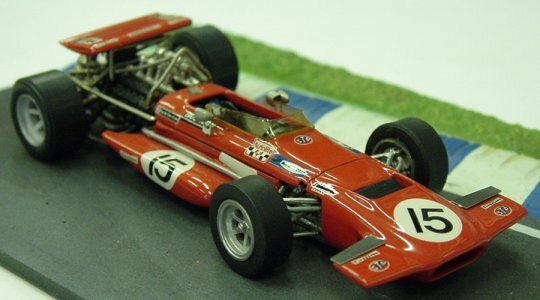 SMTS RL17a, 1/43rd scale March 701 No.15 Chris Amon �.95. Also available: SMTS RL17c, 1/43rd scale March 701 No.9 Mario Andretti �.95. To purchase please select your shipping destination from the Menu below. UK = United Kingdom / EU = European Union / Worldwide = All other destinations non UK or EU.